If you’d like to learn more about what Shannon Hurley is doing in Uganda, visit FBC’s missions page on them and watch the video. Shannon just put together a 15-min. 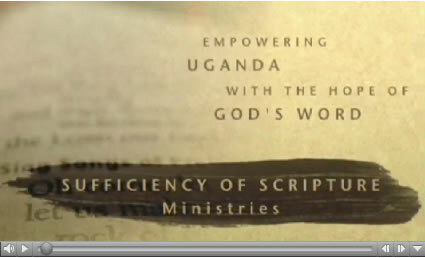 video describing the three thrusts of SOS (Sufficiency of Scripture) Ministries and what he’s trying to accomplish.